You are here: Home / IRS Back Taxes / Your Passport May Be Revoked or Denied for IRS Back Taxes. New laws allow the IRS to notify the Dept of State about taxpayers with back tax debts. Your passport may be at risk! If You Love to Travel but Owe Back Taxes Your Passport May Be at Risk. You may be aware of it but the IRS the right to suspend your passport. All it takes is a tax debt of $51,000, to included interest and penalties. Your vacation cruise or trip to Paris may come to a screeching halt unless you take swift action! If you qualify as a “seriously delinquent taxpayer”, the IRS is notifying the State Department. Once your name reaches the State Department, your passport is going to be revoked or you will be denied a passport if you apply for one. The worst part is the State Department has no discretion to overrule the IRS. If your name is on the list, that’s it. 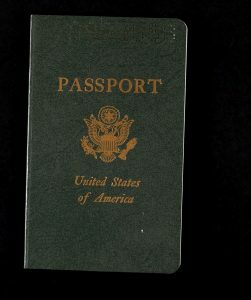 The State Department can only provide you with a limited validity passport to allow you back into the United States. That’s it. How do I know if I am a Seriously Delinquent Taxpayer!? For the most part, if you owe $51,000 for back taxes and the IRS has filed a lien against your property or the IRS is levying your assets you are at risk. Passport revocation is not automatic, the IRS is required to send you a letter, called a CP508C notice, informing you that you qualify as a seriously delinquent taxpayer. If you don’t receive a notice than you are in the clear. For now. You are paying the IRS through an IRS installment agreement or offer in compromise. This exception also includes pending requests for either an installment agreement or offer in compromise. You are requesting innocent spouse relief under IRS Sec. 6015. You are in a designated federal disaster area, combat zone or participating in a contingency operation. What do I do if I get notice from the IRS that my passport is going to be revoked or denied? First, you need to act quickly. The IRS takes about 30 days to reverse the revocation or denial. Waiting is not an option. Contact the IRS to get this issue resolved, don’t wait until days before your overseas trip to deal with it. Second, you need to let the IRS know why you believe the revocation should be reversed. I will tell you that once you are on the list, paying down the taxes to below $51,000 is to not going to work once the notice is issued. The IRS is only going to remove you from the list if the taxes are paid in full or the tax debt is no longer enforceable. If that doesn’t apply, you can be removed from the list if you are “no longer seriously delinquent” (by its definition) or the certification is erroneous. Enter into an installment agreement with the IRS. Have an offer in compromise accepted by the IRS. Request innocent spouse relief under IRC Sec. 6015 for the tax debt at issue. Enter into a settlement agreement with the Justice Department. Request a timely collection due process hearing on the tax debt at issue. How the IRS goes about determining if you are a seriously delinquent taxpayer is complicated. So is the process of reversing your passport revocation or denial. I highly recommend talking with a tax professional if you receive a notice CP503C. Do-it-yourself is not a good idea with passport revocation by the IRS. My firm helps Maine taxpayers in trouble. If you or someone you know in the Portland, Maine area has received a CP508C or an IRS collection notice, please feel free to contact me directly at 207-299-0515 or by filling out my contact form.